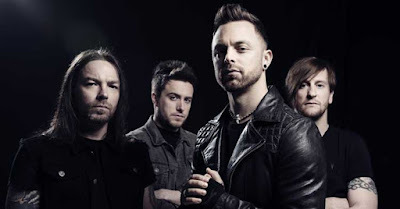 Bullet For My Valentine have signed a worldwide deal with Search And Destroy/Spinefarm Records. Frontman Matt Tuck said: "We're very proud and excited to announce our signing to Search And Destroy/Spinefarm Records. It feels great to be part of a family that truly believes in the band and is ready to take us to the next level. It's been an incredible journey so far, but with the Search And Destroy/Spinefarm team behind us, it feels like we've just begun. Here's to the future."